Your feedback is important to ensure our services remain of a high standard and we continue to improve to meet your needs. We would greatly appreciate it if you could take a minute of your time to complete the below. Thanks Sky. Sky is a friendly and a real gentlemen. Done a great job, a clear report, excellent service and very good value. Thank you!  Great service with very good communication, prompt and efficient inspection and an extensive report. We would highly recommend Sky and his team.. Thanks Sky, for such a professional job and looking forward to my new home for years to come.  A top quality building inspector and will recommend you for sure. Firstly, we found Sky to be a real gentleman, highly regarded & appreciated by us. He performed his services in an excellent manner that inspired confidence, our follow up questions were dealt with to our full satisfaction, our reports were received without delay. Sky receives our top rating, we are going to engage him for our pest treatment.